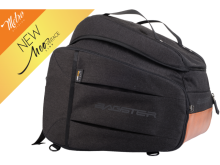 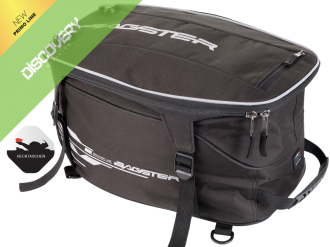 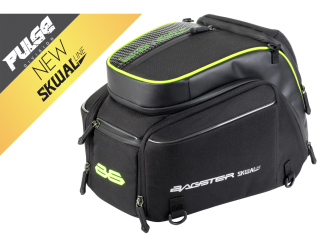 Those who mostly ride alone, will find an innovative and practical rear seat bag luggage system which can be mounted on the pillion seat. 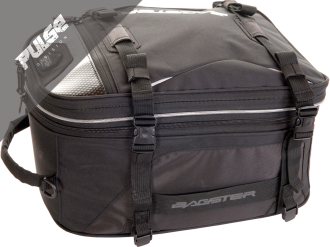 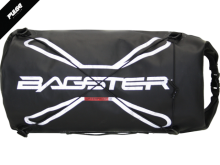 The basis of all the rear seat bags is an adjustable expanding ring and nylon spider-clip attachments, with D-Rings at the end of them. 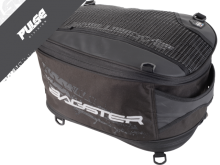 Whether your seat is in one or two parts, this system enables the luggage to be mounted to almost any seat in a matter of seconds. 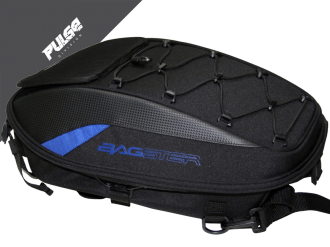 Universal saddle bag with 15 to 23 lit..